As Domino's unveils its cricket spot - for IPL and the subsequent ICC World Cup 2019, we profile the pizza brand's marketing head. While brands are brandishing their IPL partnerships and campaigns, Domino's Pizza, from Jubilant Foodworks has also launched its campaign to capitalise on the cricket season - from the IPL to the ICC Cricket World Cup 2019. The cricket-themed World Premier League campaign is rooted in the brand's range of ten limited edition pizzas with a cricket connection. Ideated in-house, the campaign was executed by Contract Advertising India. Domino's has even associated with RCB as its "official pizza partner". Kapil Grover, the QSR chain's CMO in India, mentions that the new flavours are the brand's response to the modern consumer's demand for "variety and innovation". "Today, consumers are more aware, evolved and exposed. They expect brands to reflect the same inventiveness in products," Grover says. Over the decades of its presence in India, Domino's has almost become synonymous with the Italian-origin dish. However, with the coming of food delivery platforms like Zomato and Swiggy, the pizza giant now stands side-by-side with smaller, lesser-known, localised pizza-makers. Also, these platforms facilitate reviews and ratings. "Overall, there is enough headroom for growth in the category in both penetration and frequency. The frequency of eating out is very low in India, even in comparison to the neighbouring Asian markets. Consumers are evolving rapidly with changing lifestyles, double-income households and progress in smaller towns. There is room for everybody right now," Grover maintains. According to him, it is the consistent quality, value and reliability that's going to matter in the long run and Domino's has the right mix of experience, infrastructure and knowledge to deliver on that. Domino's is among the few brands that enjoyed the attention of today's adults who grew up hanging out at its restaurants. However, today's youth are exposed to a lot more, for example, the growing cafe-culture which also offers pasta and pizza alongside its tea and coffee. "The youth and other consumers look for places which are unintimidating and would choose one that is welcoming, offering products with a matching value and budget. Domino's continues to offer that," says Grover. Recalling an incident at a Domino's restaurant while he was observing the brand before he joined them, Grover says, "I noticed a couple of students who came in. While they were ordering and settling down, they started dancing to the store's music. In a little while, the volume was increased on request and there were then 10-15 people dancing in the store. A camera was given to the manager to click pictures. I have never seen this happen in any restaurant in India." With 19 years in the industry, Grover started off as a management trainee for Parker at Luxor Writing Instruments. The three years at Luxor were in core marketing followed by a trade-marketing role with Radico Khaitan for its South zone. He mentions that it (Radico) was his attempt "to get closer to sales." "It was challenging as it did not allow direct marketing. I had to build the brands with multiple other means like activations etc.," he says. He then moved back to Delhi to launch Magic Moments vodka. 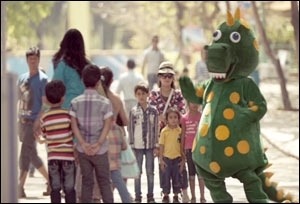 Grover was approached by Yum Brands (KFC) in 2008, a time when it was re-launching itself in India. He took care of innovations and activations and this would turn out to be his longest stint with one company. In 2016 he joined Burger King, his first experience leading a vertical that, as he puts it, tested his 15-year experience. "I got a chance to build the brand (Burger King) from scratch and worked with Lowe Lintas and launched its TVC for the first time," Grover explains. He joined Domino's in mid-2018. However, brands like Domino's, that enjoyed their space of delivering food on-order, now stand in a crowd of food delivery options facilitated by food-tech companies. "We actually welcome this as the convenience grows the frequency of out-of-home consumption and builds habit. As long as Domino's stands true to the promise of delivering fresh, hot pizzas in 30-minutes and at a pocket-friendly value, we will always stand a chance. We offer that service guarantee to customers of all 1200 restaurants across 250 cities," Grover states. He mentions the strict control of the brand over the raw-material supply, to the final delivery as a plus point. 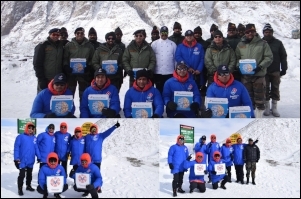 The brand had also partnered with IRCTC to facilitate delivery of its pizzas across 150+ stations. It now allows pre-scheduling and delivers till 3.00 am in eight cities. To our query regarding Domino's stance on consumers increasingly considering food from a health perspective, Grover says, "We want to offer consumers more choices. Right now, we offer thin-crusts alongside a multi-grain option and we will continue to work on that." Grover also explains that the need the brand fulfils in large cities is that of value and convenience while metros have a high share of deliveries. "Smaller towns see a lot more dine-ins, it's almost an occasion. The menu and pricing are the same across the country," Grover adds on the difference between Domino's pizza consumers in cities and smaller towns. The brand is also seeing a steady shift to digital orders (via app/website/food-tech) against its original voice-based offering. "We have also evolved. We have our new app which undergoes continuous improvements for convenience," says Grover. Commenting on what discounts/offers do for Domino's when almost all other brands try them to lure new consumers, Grover says, "Consumers will only stick around if they find value in a product. We always try to get the consumer the best value. We first launched the 'All New Domino's' with enhanced quality basis consumer insight and then introduced the 'everyday value' of Rs 99 per pizza." Speaking on developments that have taken place in the QSR area over the recent years, Grover states, "It used to be - 'I made this product. I make an ad to sell this and you buy it'. That's no longer working as today's consumers are demanding and product innovation cycles are faster. Consumer touchpoints are far more diverse now. The brand is accessible through the restaurant, via phone, through social, aggregators and many more options. The marketer has to manage all those 'moments of truth' for the consumer." Grover adds that consumers now demand native responses. "A one-template response or a template campaign, doesn't work anymore. It has to be native to the platform," he outlines. The brand uses TV for reach with digital for engagement and looks at a multi-channel approach when it comes to advertising. It just launched a TVC along with influencer campaigns wthat will be followed up with more ads as the quarter unfolds.